Yet after many attempts, I couldn’t get there. It was just too hard for me. I watched a couple of women I knew navigate food effortlessly. They would eat whatever they wanted and naturally stay slim because they weren’t overeating or over-thinking. And then there was me…I was stuck in a painful state of dieting, overeating, depriving and bingeing, eating my emotions, and falling off the wagon again and again and again. 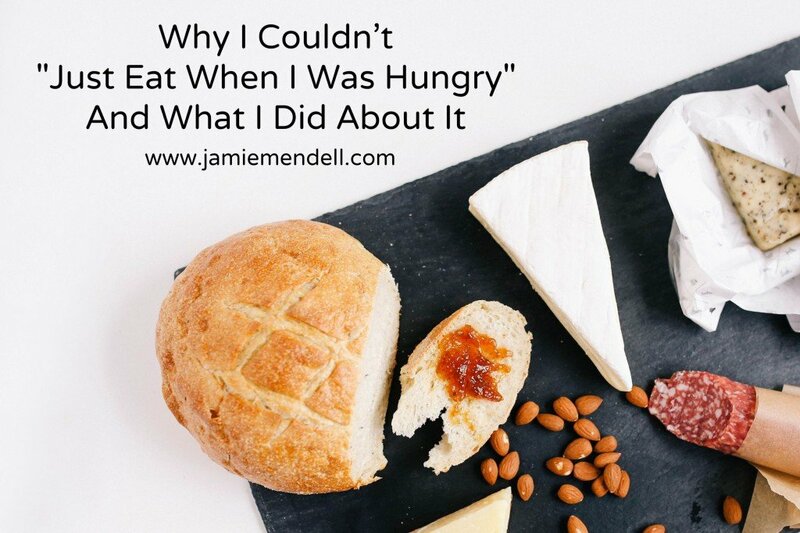 Want to know the truth about why I couldn’t just eat when I was hungry? I never wanted to admit this, but it’s because I relied on food. Food filled a lot of voids for me. It gave me excitement when I was bored, it gave me a way to ground myself when I was confused or uncertain, and it gave me a sense of companionship when I was lonely. The other reason I couldn’t just eat when I was hungry was because I hated my body. I felt so uncomfortable in my skin that I needed to obsess over food in order to ensure that I could lose weight. If I were to “listen to my body”, how would I still control my calories and therefore my weight? And if I felt that if I didn’t lose weight, then I wouldn’t be happy. I’m imagining that some of you may feel this way too: the idea of eating like a “normal” person sounds so appealing, yet so impossible for you. I read book after book about having a normal relationship with food. I dreamed about it. I wanted it so badly, but I just couldn’t seem to get there. After exhausting the book route, I even decided to invest in an expensive coach to help me. Although she taught me a ton about listening to my body, I didn’t learn how to manage the emotional relationship to food. Despite my many attempts, I still found myself in front of gallons of ice cream and freaking out about my body, weight and therefore my happiness. “Eat like a normal person: eat when you’re hungry and stop when you’re full” sounded so easy, but proved to be the hardest thing I ever tried to do. I’m happy to say that many years later, I finally do have the free and easy relationship with food that I only dreamed of. But I’ll be honest with you… this journey was long. Looking back, I just wish I had the insight and guidance to help me focus on improving the whole picture of my life and how that impacted my relationship with food. And that’s why I’ve created the Food Freedom Program. I know that everything I learned did not need to take 5 years. In fact, once I understood what was going on for me, the process to create a healthy relationship with food and to shed all of my extra weight became very straightforward. 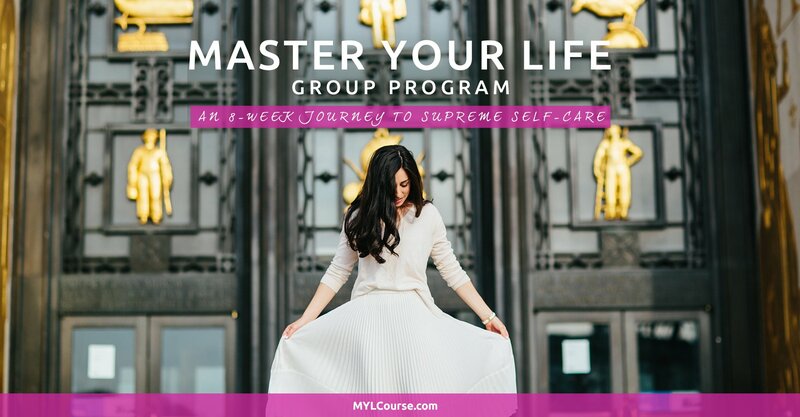 This program is designed to give you everything in an 8-week course that I searched to figure out over the course of 5 years. Maybe you know that dieting isn’t the way for you and you’ve searched to find this kind of thorough support around creating a “normal” relationship with food like I did. If that’s the case, Food Freedom may just be the exact thing you’re looking for. If you’re ready to dig deeper and begin truly transforming your relationship with food, then head on over to the Food Freedom page and join us. P.S. Included in your enrollment is a Jumpstart Program so that you can start learning about and shifting your relationship with food right away. As soon as you enroll, you get instant access to this. P.P.S. If you’re on the fence or not sure if this course is for you, feel free to email me at Jamie@jamiemendell.com.